My almost five-year-old is finishing his second year at a montessori school, and though we love it, I am not sure their approach is what is best for him. He has been building the same words for the past six months [Movable Alphabet] and generally is not motivated to do new harder things because he isn't good at it. He gets the greatest satisfaction out of easier work. The teachers try to get him working on more serious stuff, but it he generally seems bored at school and tells me he doesn't want to go because it's boring. I know that montessori likes everyone to move at their own pace, but he is telling me he is bored and I know that he is not getting the push that he needs to keep things challenging for him. So it may be that this mom's five-year-old son is not interested in reading, or getting to reading, and it may not come until age eight. The problem now is if he is pushed too hard to read, at age five, it may turn him off altogether to reading so that by age eight he just hates it--then you really have issues. It may be that he is more interested in numbers and counting and math, or social interaction, or geography, or plants and animals. So I do not think pushing him in reading or pre-reading is an answer, at school or at home. And there are plenty of other areas of the classroom that he can work in. What you want more than anything is for your child to love learning, and if he is not loving learning, ask yourself what changes you need to make to get him on that path. Sometimes it is a different teacher! But we don't always have control over that. Maybe you are the answer and homeschooling is more appropriate. But make your number one goal to teach your child to love learning, not to teach him to learn how to read or build longer words. And a good, experienced Montessori teacher will know and understand this, even if it recommends that the child not continue in Montessori. 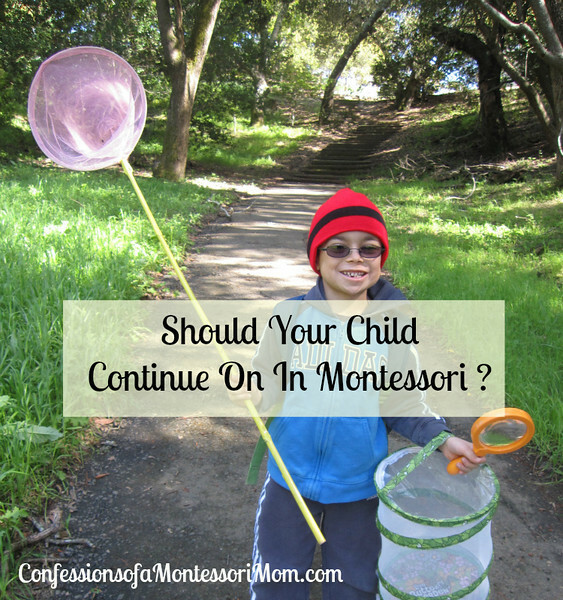 I recently had to make the heart-breaking decision (for me) to take my son out of his Montessori school and place him in a special needs class, a decision I did not make lightly! But I knew that most importantly, I want him to love learning, to love school, even if it means not sending him to Montessori. 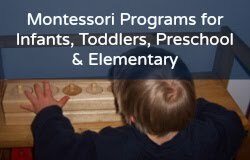 You may also be interested in my Montessori and homeschool programs and PDFs for birth to age nine at Montessori for the Earth.